Spinal Cord Injury - Where Do We Stand Today? The spinal cord is the information highway of the human body. It forms a white, soft rod that is roughly half a meter in length and up to 7 mm thick, firmly embedded in the vertebral column. 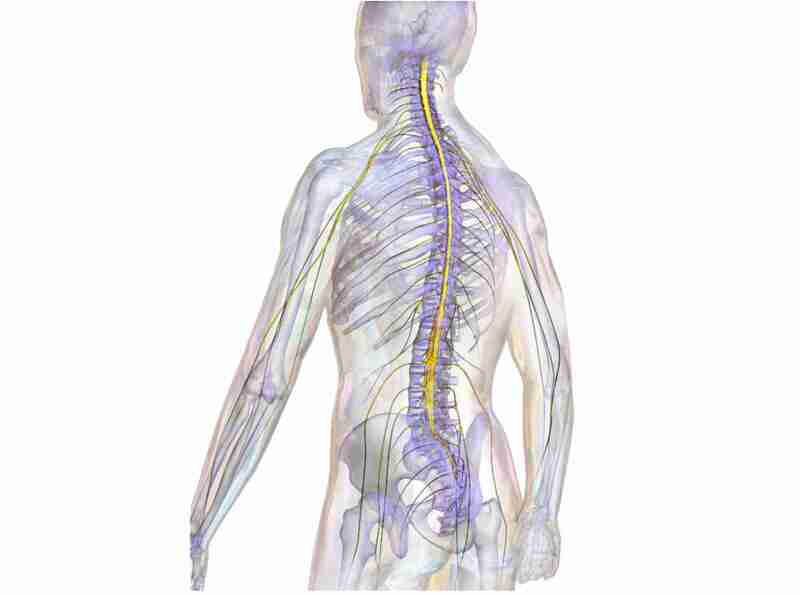 The spinal cord contains approximately 2.5 million nerve fibers that either send electrical signals collected from the body up to the brain (sensory fibers), or send electrical signals down from the brain into the body (motor fibers). If these fibers become interrupted we are no longer able to either receive sensory information from the body, or transmit motor commands to our muscles. This raises the obvious question of why the severed fibers don’t regrow and reconnect to their initial targets. After all, nerve fibers regenerate and restore functional connections in the periphery, for instance in reattached limbs or fingers. Moreover, nerve fibers in the central nervous system (CNS) of lower vertebrates, including fish and amphibians, regenerate perfectly following injury. Newts readily recover from spinal cord injury (SCI) and frogs can regrow a severed optic nerve, but nothing like this happens in humans. A sports accident, a vehicular crash, or bullet wounds inflicted during hunting or war can all have debilitating and irreversible consequences if they affect the spinal cord. While all sorts of recipes have been prescribed for all sorts of ailments throughout human history, nothing has ever been put forward as a remedy for SCI. In the Edwin Smith papyrus, an Egyptian physician text book from 1,700 BCE, SCI is simply described as “an ailment not to be treated”. Little progress has been made during the intervening 3,700 years, as patients suffering from SCI will probably agree. However, although therapeutic options remain still poor we at least have a basic understanding of what is going on after SCI and why the nerve fibers don’t regenerate. It was the famous Spaniard Santiago Ramón y Cayal who was, together with Italian Camillo Golgi, the founding father of modern neuroscience and who wrote in 1910 of an “abortive attempt at regeneration” of axons　in the injured spinal cord. This historical observation suggested that central axons do not have the intrinsic ability to regenerate, presumably due to the lack of supportive factors, a notion that became known as the “lack of trophic factor hypothesis”. The discovery of nerve growth factor (NGF) in the 1950s by Rita Levi-Montalcini and Stanley Cohen appeared to reinforce this hypothesis - but it was wrong! 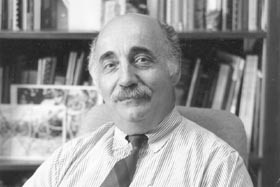 At the beginning of the 1980s Albert Aguayo in Montreal demonstrated through a series of elegant experiments that central axons do in fact have the intrinsic potential to regenerate . When provided with the opportunity to grow into peripheral nerve grafts after transection, central axons showed long-distance regeneration similar to that of peripheral fibers. Upon re-entering CNS tissue, however, their outgrowth ceased. The results of this research into CNS regeneration were revolutionary. It was now evident that the inability of central axons to regenerate was not in fact due to a lack of supportive factors, but mainly a result of their regeneration being impeded by something in CNS tissue. The impeding factor was soon found to be the myelin produced by oligodendrocytes　. ​Argentina-born Albert Aguayo at the McGill University in Montreal has revolutionized research on CNS regeneration (Image credit: Egan Owen, McGill University). Two hallmarks of good science are accuracy and reproducibility. In the field of SCI this means that the lesions afflicted on laboratory animals to test novel treatment regimens become ever more precise and standardized. The protocols to expose the spinal cord within the vertebral column, the mechanical impact on the spinal cord, wound closure, and the post-operative treatment of animals are all defined in ever increasing detail. This is certainly desirable in terms of the overall reproducibility of experimental results (see below), but it also implies that any promising data obtained may be valid under only this particular set of parameters. As every neurosurgeon can confirm, real world clinical situations are exactly the opposite of accurately defined standardized lesions. In fact, a given case of SCI is unlike any other, with all subtle variations in the kind of injury (contusion vs. cut lesion, or a combination thereof), its severity (number and type of affected fibers), the extent of hemorrhaging, the overall condition of the patient, and so on. Covering all of these variables in an animal model is impossible. What is needed, therefore, is a set of therapeutic strategies that are broadly applicable rather than working only under defined conditions. The main animal models used for research into spinal cord injury are rat and mouse models. These rodent species offer a range of advantages for experimental studies: the animals are small, easy to keep, have a high reproductive rate, and have a short generation time. Moreover, they are a mammalian species as are humans and the basic mechanisms governing the rearrangement of nerve fibers following injury were previously believed to be conserved between rodents and humans. We now know that this is not in fact the case, and that the wiring in the spinal cord differs significantly between rodents and humans. Motor command in humans relies much more on the brain, and thus on an intact spinal cord, than in rodents. Quadrupedal locomotion in rodents is controlled to a significant degree by autonomous neuronal circuits within the spinal cord. Interrupting the wiring between the brain and the periphery results in less severe motor deficits in rodents than in humans, due to their spinal competence in movement control. As with cognition, humans rely heavily on their brain for bipedal movement, as well as for fine motor control of their forelimbs. Furthermore, a certain type of fiber regenerates in the lesioned spinal cord of mice, but presumably not in humans　Taken together these differences clearly complicate the translatability of experimental results from rodents to humans. What is needed is an animal model that is closer to humans in neurological terms than are rodents. Humans are primates and monkeys would therefore deliver more reliable results in pre-clinical lesion studies than rats or mice. The evolutionary proximity of monkeys to humans, however, has resulted in the imposition of ethical and legal guidelines regarding their use as laboratory animals, and for this reason monkeys are very rarely used in experimental studies. Scientific progress is achieved through the publication of research results and each paper forms another brick in the growing building that makes up our knowledge base, upon which each generation of scientists can safely build. This is, however, an idealistic image of science that it does not live up to. Results achieved by one group of scientists are sometimes not reproduced by another group, for a variety of reasons. A particular effect is often seen only under precisely defined conditions; even slight deviations from a specific protocol can result in the loss of that effect. Results from spinal cord lesion experiments are highly dependent on the individual skills of the experimenter and on the type of animals used, as well as on their housing and handling conditions. When drugs are used in lesion experiments the manufacturer, and even the lot number, can make a difference and affect whether or not a result is reproduced. An effect that is not robust with regard to experimental conditions is obviously of limited clinical value. Unrecognized bias can also often creep into experiments. This does not necessarily refer to the wishful thinking that scientists succumb to every now and then. Bias in SCI research can, for instance, be unwittingly introduced when “experimental” animals are handled more carefully than control animals that are subjected to mock treatment (because more resources have been invested in the experimental animals than in the control group), or if the “experimental” animals are always treated first and the control group second (hence possibly being selectively affected by the experimenter’s fatigue). The National Institute of Neurological Disorders and Stroke (NINDS) attempted to reproduce 13 published animal studies on SCI, all of which announcing major progress in SCI treatment. Out of these 13 replicated studies the results of only a single study could be fully reproduced . Results from animal experiments that cannot be easily reproduced by other research groups can hardly be expected to turn into successful clinical trials. It is thus highly desirable that only pre-clinical experiments that have been reproduced by independent research groups are approved for clinical trials. After all, this would not only reduce the cost burden on the health care system, but also avoid encouraging unrealistic expectations in the many patients enrolled for clinical trials on SCI. What exactly are the clinical trials that are being carried out on SCI at the present time? Is there a therapy around the corner that will make the lame walk again? We will explore these perspectives in a subsequent editorial contribution.